Ramada Iasi City Center is the strongest hotel brand currently on the Moldavian market and one of the largest globally. Ramada Iasi City Center, a stylish and exclusive hotel, offers the ideal solution for those who need accommodation in Iasi. 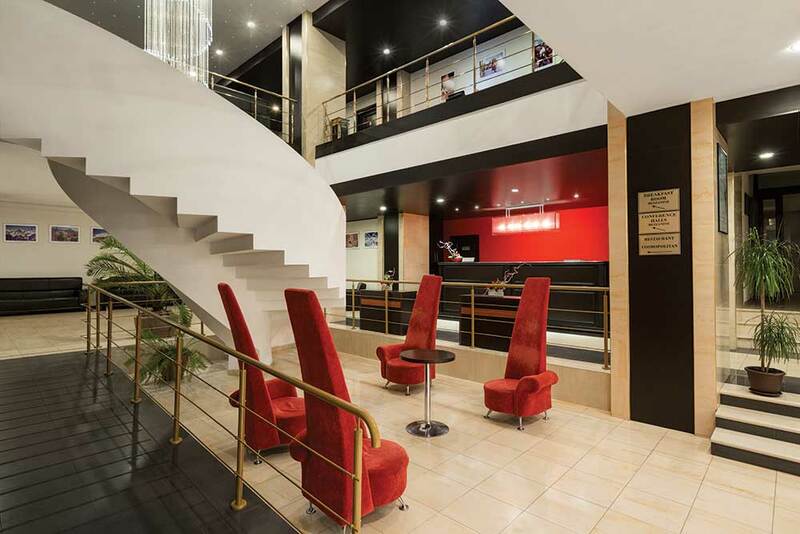 Ramada Iasi City Center is addressed equally to business tourism as well as pleasure tourism. Whether you are in a business trip or on vacation, attend a conference, just passing through Iasi or have come for a city -break, Ramada is the ideal accommodation. The rooms are very nice and always groomed, conference facilities are complete and modern, and the restaurant menu combines tradition with sophistication, satisfying every taste and every requirement. Along with this and in no way least, a professional and dedicated team is permanently available for each guest that enters the hotel. The quality – price ratio is always more inclined for quality and promptness and friendliness of the staff completes the happy experience of every tourist who chooses Ramada Iasi City Center. Built area 6240 sqm, footprint 1260 sqm, total land area 2500 sqm, parking 1540 sqm.